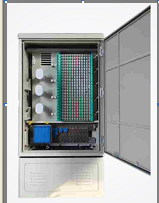 Fiber Optic Splice Cabinet(Traditional Type) CT-144~576C - Fiber Optic Splice Cabinet - fiber optic splice closure, Heat Shrinkable Cable Joint Closure,Terminal Box. 1.Stainless steel cabinet, two layers with insulated layer. 2.Dust-proof, pest control, water vapor condensation. It can subject to dramatic changes in long-term climate and poor working conditions. 3. 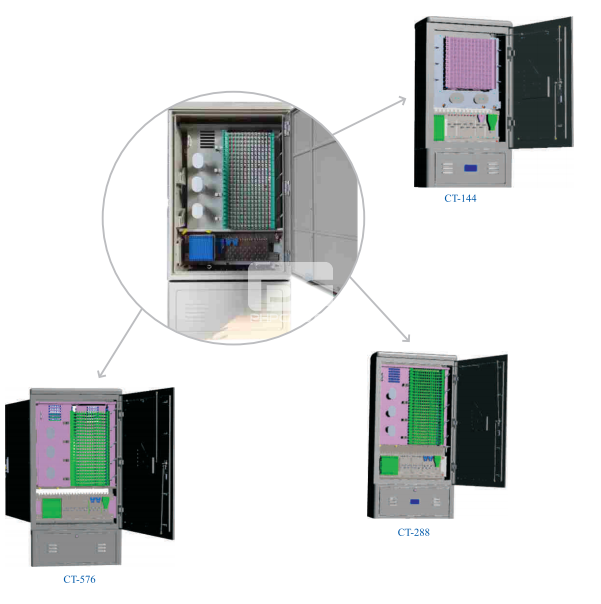 IP65 protection grade level achieved too. 4.Operate from the face, clear and reasonable layout, lager space to operation, maintenance convenience. 5.FC,SC, and ST types of adapter are also available.